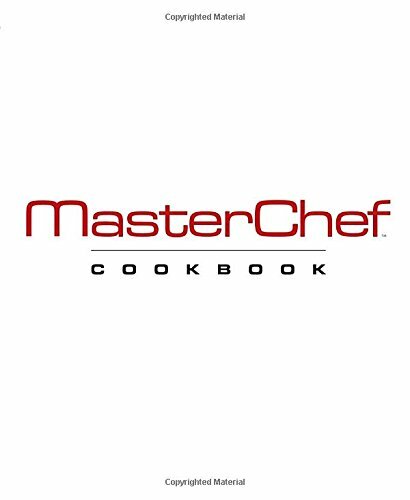 MasterChef has been one of the most popular television cooking competitions all around the world for years. Now, it's time to get ready for a sixth season of the series here in the United States! The series is set to premiere on May 20, 2015 and this time around will start off with 40 hopeful home cooks who are all vying for the title of "America's Next MasterChef". As I've done for the last several seasons, I will be recapping each week's episode and also offering up polls where you can share your feelings on the show overall, as well as who went home and who should win the title. So stay tuned and get ready for another season of MasterChef madness! 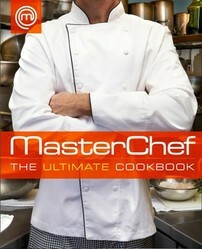 Image above: MasterChef - The Ultimate Cookbook. Available for sale below from Amazon. MasterChef is a U.S. cooking competition series where talented "home cooks" compete for the title of the best home chef in all of America. The series is part of a franchise which began in the United Kingdom, originally back in 1990. Today, there are versions of MasterChef produced in more than 40 countries around the world. Contestants in the US version of the series typically compete in both individual and team challenges. There are "Mystery Box" challenges where the contestants have to come up with their own tasty and creative use of whatever ingredients they find under their box. Team challenges can involve serving a large group of people a satisfying meal under extreme circumstances, or working under the pressure of a professional restaurant kitchen. Elimination tests often involve preparing a particular classic dish or series of dishes such as an apple pie, steak dinner, or molten chocolate lava cake. The prize for winning in the past has been $250,000, and in all series except for series 2 the publication of a cookbook authored by the winner. 2. When and where is MasterChef airing? MasterChef Season 6 will premiere May 20, 2015 at 8pm ET/PT on the FOX network for a 2-hour season opener. After that the show will air for one hour, 8pm, every Wednesday night through the summer. 3. Who are the judges this season? This year, MasterChef veterans Gordon Ramsay and Graham Elliot will be joined by new judge, Christina Tosi, who is replacing Joe Bastianich. Tosi is an accomplished pastry chef for New York City's Milk Bar. 4. Who are the competitors this season? 5. Where were auditions held for this season of MasterChef? Auditions took place in the Autumn of 2014 in the following U.S. cities: Atlanta, GA; Chicago, IL; Cleveland, OH; Los Angeles, CA; Memphis, TN; Miami, FL; New Orleans, LA; New York, NY; San Antonio, TX; San Diego, CA; and San Francisco, CA. 6. Will there be a seventh season of MasterChef? An official announcement about future seasons has not yet been made. When it has, you can be sure that the MasterChef Casting Website will be updated with information on how to apply and where you can attend open call events. 7. Where else can I find information on MasterChef? There is FOX's Official MasterChef website where you can see episode previews and meet the series contestants, once officially announced. Are you excited for the new season of MasterChef US? Yes, I can't wait! I love MasterChef! We'll see. I don't think the show is as good as it used to be. I'll give it a chance but I'm hoping it will be better than last season. No, I'm bored of MasterChef and not planning on watching this year. I've never watched MasterChef and don't plan on starting now. Meet Christina Tosi: The New Judge on MasterChef! MasterChef got off to a special 2-hour start on May 20, 2015. In the premiere, we met our new judging panelist, pastry chef and restauranteur Christina Tosi. We also saw the season start off with a new twist: the top 40 cooks had to face off in head-to-head battles between those with similar signature dishes: those with the better dish in 30 minutes earned a white apron while those who lost? Saw their dream of becoming MasterChef come to an end! Read my full episode recap and review of Episode One: Let The Battle Commence at Spacial Anomaly. What do you think of the head-to-head battles to start of this season? Going from 40 homecooks to 20 by battling over "signature dishes"
I enjoyed the head-to-head battles. It was a fun and different change from the past that let us get to know the competitors better. It was better than last season when they just went from 30 to 22 in one group battle, but I miss the individual signature dish challenge from the first 4 seasons. I didn't like it. I think they should just start with the top 20 or so and let the competition begin right away. In the continuation of the season premiere, there are nine more aprons available for the remaining chefs to battle it out to claim...or could there in fact be eleven? Turns out some will get a "second chance" to win their way into the MasterChef kitchen, while the rest will be going home for good. Read by full episode recap and review of Episode Two: The Battle Continues at Spacial Anomaly. What do you think of the Top 22 contestants? From what we've seen so far, are you impressed or disappointed by this year's batch of hopeful home cooks? Impressed. This seems like a really diverse and interesting group of people so far. Disappointed. Seems like there are too many typical cliche characters. It was too easy to see who would get an apron and who wouldn't. Too soon to tell. We haven't even met some of the contestants at all yet. MasterChef Season 6: "You're The Apple of My Eye"
In the first real competition of the season, the top 22 face their first Mystery Box challenge. The winner gets to hand-pick who then must compete in an elimination test featuring an American classic: the apple pie. Two of those 22 then were eliminated. Who went home? Find out in my complete episode recap at Spacial Anomaly. Poll of the week: Do you think Dan chose wisely? Did Dan use his advantage properly in who he chose for the "bake off" elimination test? Yes, I think he was strategic in making some friends and allies this early on based on who he kept "safe". No, I think he would have been smarter to put more of the top competitors up for possible elimination. Hard to say because we don't really know these other chefs the way he probably does at this point. MasterChef Season 6: "Cinnamon Roll-Er Coaster"
The Top 20 chefs now face their first team challenge: at a theme park! They'll have to serve hungry park patrons and see who can make them the happiest. Members of the losing team will then have to face an elimination test based on making perfect cinnamon rolls. Whose rolls were deemed the worst? You can find out in this week's recap and review. What did you think of Darah's picks? 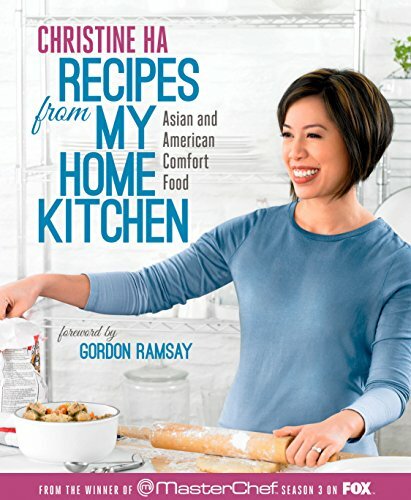 Did she pick the best chefs to be safe or only her best friends? Clearly she only was saving her friends, not the best performers on her team. We can't tell, because the MasterChef editors can make the team's performance look however they want it to look. MasterChef Season 6: "Clawing to Victory"
The 19 remaining home cooks face a Mystery Box that could be hard to handle: live crabs! The winner then gets to choose whether each of the other contestants will have to make a sweet or savory dish featuring one popular ingredient. What was it, and who went home? Read my full recap and review to find out! Which did you think was harder to prepare, a sweet or savory dish featuring that single ingredient? The chefs find themselves in Las Vegas for a team challenge, where they must prepare 101 meals for Vegas entertainers. The losing team then faces elimination in a tough test, preparing steak for none other than Gordon Ramsay himself in one of his namesake restaurants. Whose steak didn't make the cut? You can read my full episode recap to find out. Did Shelly's teammates throw her "under the bus"? Who was most at fault on the Blue Team, the captain or the rest of her team? No. Shelly was team leader and she had a bad idea for a dish and then didn't know how to lead her team. Yes. Her teammates should have worked harder to pull off a winning dish. MasterChef Season 6: "Bring Home The Bacon"
The home cooks have to tackle another Mystery Box, this time featuring breakfast-themed ingredients. The cook with the best dish then gets to choose between three classic "TV Dinner" combinations and the others must do their best to elevate the dish. Who ended up failing to impress? Find out in my full episode recap and review. Which TV dinner do you think would have been the hardest to elevate? Tommy and Gordon outtakes from "Bring Home the Bacon"
MasterChef US Season 6: "Happy Birthday MasterChef"
There's a party going on, and it's a celebration of MasterChef's 100th episode! The remaining home cooks must create celebratory appetizers and entrees for an esteemed group of guests. The losing team then faces a birthday cake elimination test that will send two home cooks packing. Whose candles were blown out for good this time? Find out in this week's recap and review. Do you have a favorite contestant yet? Now that we're down to 12 home cooks, who is your favorite of those left standing? This week features two tough challenges in the MasterChef kitchen: recreating two of Gordon Ramsay's signature dishes. Of course you know his classic Beef Wellington will be one of them, but who will fail on an elaborate scallop and quail egg appetizer? Find out in this week's full recap and review. Did you feel Gordon and Christina were unnecesarily cruel toward Christopher? Was their criticism of his Beef Wellington on point, or over the top? On point. Christopher needs to keep his arrogance in check. Over the top. It was unnecessary to be so harsh toward him, when he and Hetal didn't even choose his dish for tasting. MasterChef US Season 6: “Ice Ice Baby"
Rice is the focus of the next Mystery Box challenge, where everyone has a story to tell about their personal dish. And then the elimination test features a classic combo: peanut butter and jelly. Who's dish failed to get them into the Top 10? Find out in my complete recap and review. How excited are the home cooks to have one of Gordon's greatest dishes for dinner? Do you think the judges are showing obvious favoritism toward certain cheftestants - especially Shelly? Yes, they are clearly favoring some contestants and keeping them safe when they should be eliminated. No, I don't think they are playing favorites at all. It's hard to say, given we only know what the editors show us. MasterChef US Season 6: "Moo-vers and Bakers"
The Top 10 home cooks find themselves out on the range, cooking a hearty steak meal for 101 cowboys and cowgirls. The losing team then has to prepare a fruit tart in the Dreaded Pressure Test. Find out what happened then in my full episode recap. Do you think there are too many pastry and baking elimination tests on MasterChef? Yes, there are too many baking/dessert pressure tests. Baking and cooking are two different sets of skills. No, there aren't too many. 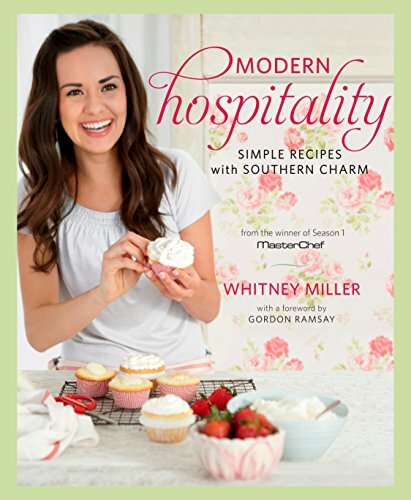 Baking is a very precise skill set that every home chef should be familiar with. MasterChef US Season 6: "Family Reunion"
It's another team challenge, this time involving a dinner "family style" for a very special group of VIPs. The losing team then only has 25 minutes to prepare and plate a classic Italian pasta dish: gnocchi with sage and brown butter sauce. Who will fail to please the judges? Read the full episode review & recap to find out. Who do you think deserved to go home: Tommy or Christopher? Christopher. The judges were right in eliminating him for his under-seasoned gnocchi. Tommy. The judges should have sent him home for drowning his gnocchi in the butter sauce. MasterChef US Season 6: "A Little Southern Flair"
The chefs must demonstrate their skills cooking with fire - and alcohol - in a flambee Mystery Box challenge. Then, Southern cooking takes the stage in a pressure test featuring chicken and waffles. Who did the best and who failed to cook their chicken properly? Find out in my full recap and review. Were you surprised to see Shelly sent home at this point? No, she had already stayed on in the competition too long. Yes. I thought Claudia should have gone home for her chicken and waffles. MasterChef US Season 6: "Getting Ahead in the Competition"
It's a first this week in the MasterChef kitchen: a team challenge where they must prepare strictly vegetarian food! The losing team then must take things to another extreme: head meat. Find out who won and who went home in my full recap and review. Which animal head did you think was the grossest/hardest to work with? MasterChef US Season 6: "A Storm's A Brewing"
Coffee is the focus of this episode's Mystery Box, where the cheftestants must find innovative ways to use coffee products in their dishes, sweet or savory. Then it's time for the annual - and dreaded - tag team challenge, where three teams of two much recreate a summer party food assortment. Who fails to bring some real summer fun to the table? Read my recap and review for the details. Do you think the judges made the right choice this week in who went home? Yes. Tommy really messed up his part of the tag team challenge. No. Katrina should have gone home. All she was doing was yelling at Tommy. Hetal should have gone home. She burned the mushrooms and served raw shrimp. MasterChef US Season 6: "Restaurant Takeover"
It's time for the dreaded restaurant takeover challenge - traditional every season when the competition gets down to the top 6 contestants. This year they must prepare appetizers and entrees in a top Japanese fusion restaurant in LA. The losing team of three must make three of the judges favorite pasta dishes in order to survive to cook another day: manicotti, egg yolk ravioli, and squid ink farfalle in seafood sauce. Who fails to be a true pasta master? The details are in my recap and review. Which of the three pasta dishes would you have found the hardest to make? Which of the three pasta dishes would you most like to EAT? MasterChef US Season 6: "Return of the Champions"
A single ingredient is what the home cooks must focus on in their Mystery Boxes this week. One chef is then safe, while the others must cook dishes featuring 20-ingredient baskets prepared by the safe cook, and three returning champions of past seasons. Who ends up failing to use their basket the best? The details are in my recap and review. Which "returning champion" were you the most excited to see again? MasterChef US Season 6: "Think Inside the Box"
There are only four home cooks left to battle it out for this season. We begin with a team challenge where each pair of chefs must prepare an appetizer and entree featuring ingredients selected by Gordon Ramsay and Graham Elliot. The winning team is safe; the losing team must recreate Christina Tosi's Chocolate Malt Layer Cake. Whose cake is deemed the best, and whose the worst - and why? Find out in my recap and review. This week's episode has led to a fair amount of controversy and debate over the choice to keep Claudia over Nick, when her cake looked like such an unfinished disaster whereas his looked great but had too much sugar in the batter. Not only did the judging seemed possibly unfairly biased but people have objected to Christina jumping in to check on Claudia's cakes and telling her when to take them out of the oven. But was that really showing an unfair bias, or just what the judges always have done, offering advice and tasting/checking on the contestants' progress? Do you think Christina unfairly helped Claudia with her cake? Yes. She shouldn't have said anything to her about taking them out of the oven when she did. No. The judges give advice and opinions all of the time to everyone. It was perfectly fair. Enjoy some "deleted scenes" and outtakes from this season of MasterChef! Next week's finale: Who do you think will win? There are only three chefs left. Who do you think will become this year's MasterChef? Despite who you THINK will win, who do you believe DESERVES to win the most? MasterChef US Season 6: "Team Gordon Ramsay"
In the first hour of tonight's finale, the top three must first prepare a stunning entree for 30 industry VIPs. One then gets a pass straight into the top two; the others must three tricky dishes for the judges: souffle, steak frites, and panna cotta. Who will finally battle it out for the MasterChef title? Find out in my full recap and review. Who do you think deserved to battle it out against Derrick in the finale? MasterChef US Season 6: "The Finale"
It's finally here - the grand finale of MasterChef Season 6! Claudia and Derrick battle it out head-to-head in a three course meal of a lifetime. Who will the judges reward with the trophy, $250,000, and the cookbook deal? The details are in my final recap and review of the season. Who do you think deserved the trophy after the finale battle? There's been a lot of controversy online since Claudia won over Derrick. Do you agree with the judges' decision? 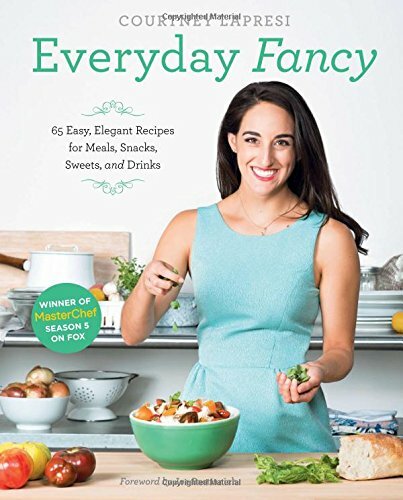 Are you going to buy Claudia's cookbook when it is published? Definitely, as soon as it's available. Maybe. I'll wait to read some reviews or check it out first. No way. Not interested in her cookbook. Who is your favorite past winner of MasterChef US? My wife and I watch the British version of Masterchef, and we love it. I cannot predict this year's winner, as the final is tonight, in five hours time, but I have a good idea who it will be. But one contestant whom I thought third out of three finalists is finishing strongly, so my prediction is not certain. Long may Masterchef continue. I don't think Master Chef or Master Chef Junior is going to last much longer personally. Winner is predictable for both shows as soon as you know who the judge's favorite is. Not sure as to Hell's Kitchen but since cursing, screaming is what TV audiences like, that show may outlast the other 2. 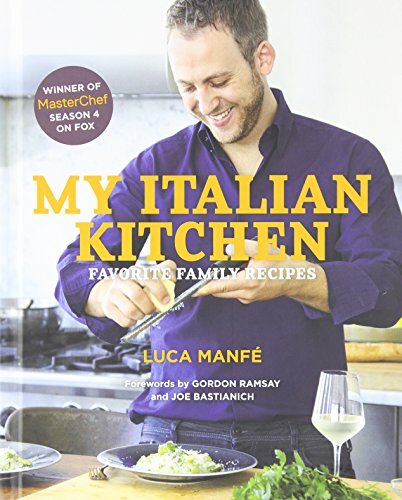 Luca Manfe was the winner of Season 4 of MasterChef US. 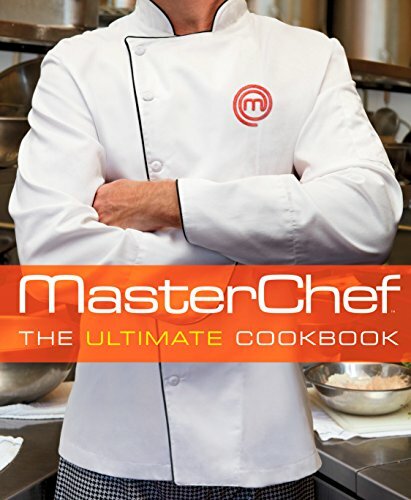 Find out more here about his 2014 cookbook: does he prove he truly is a "Master Chef"?